Hotot is undoubtedly one among the very best Twitter desktop client for Linux and that was exactly why we included Hotot in our list of 18 must have applications for Ubuntu. 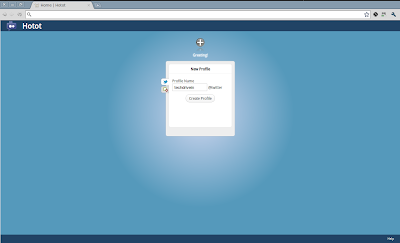 Now, if you don't want a separate desktop client for a primary web application like Twitter, Hotot is now available in Chrome Web Store to be installed within you Chrome/Chromium web browser. 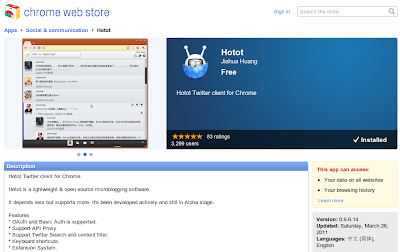 Hotot is a lightweight, open source Twitter client for Chrome. 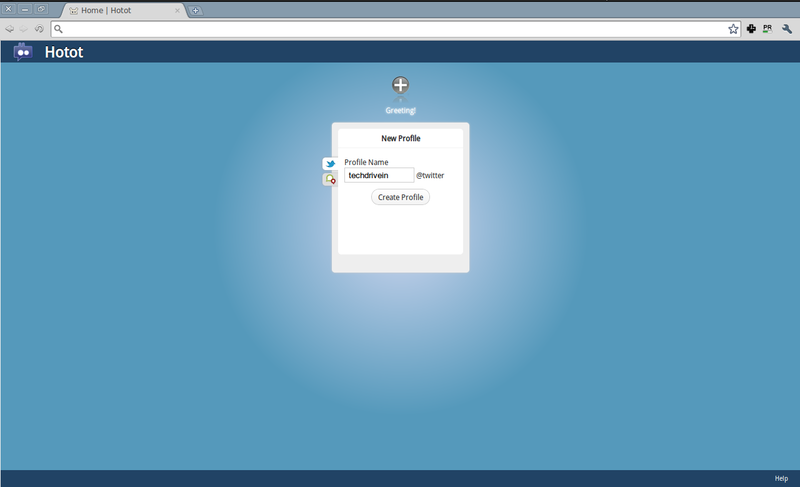 OAuth and Basic Auth is supported. Support Twitter Search and content filter. Keyboard shortcuts, new extension system. Thanks to our reader @goramallu for the tip. After installing Hotot for Chrome, one thing I realized was that Chrome Web Store is a place to be explored a lot further. Stay tuned.